Have you ever found yourself in a rut? I sometimes find myself in a situation that I feel like I’m doing the same thing day after day, week after week, month after month, and year after year. I found myself wondering if I have ever stopped and questioned why I do what I do. Have I always just gone with it? Is it because it’s what’s always been done, because it’s just the way things are, because it’s tradition, or maybe it’s because it’s what society accepts. Whatever the reason, I think we need to slow down our busy lives in this fast pace world, and look at ourselves and what really matters. This is what brings me to our current topic of Christmas. Why do we choose to celebrate Christmas? What’s it all about? Where did it originate? Why do we have Christmas trees? Why do we give gifts? Where did Santa Claus come from? Where did the mistletoe come from? 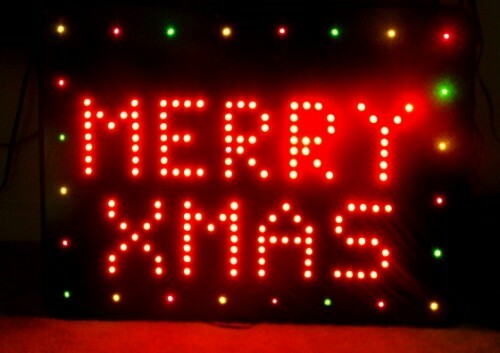 What’s the big deal about “Happy Holidays” and “Merry X-mas”? All of these things we participate in, or hear about, year after year but do we really know its origins or even why it is that we do it? I’d say most of us don’t and that’s what I’m bound and determined to find out. I believe we should know what we believe and why we believe it, because if not, then we are just going to do it because it’s accepted, or because everyone else is doing it and then it will end up losing its meaning. Just because something is accepted doesn’t mean that it’s right. Who knows, we might be practicing witchcraft or devil worship and not even realize it. That’s kind of a wild thought but it is very much possible. I hope we all learn something about one of the most popular holidays in the world. Christmas, as we know it, is on the 25th of December and it is the celebration of the birth of Christ. We typically celebrate Jesus’ birth with Christmas trees, decorating, exchanging gifts, attending church, sharing meals with family and friends and, of course, waiting for Santa Claus to arrive. However, most people don’t know that most of these same things were celebrated at the end of December long before the birth of Christ. So, that leads us to ask do we really do these things to celebrate the birth of our Lord and Savior or do we use His birth as an excuse to be able to do these things? Hmm, that’s an interesting thought. So what’s the real history behind our Christmas traditions? In ancient Mesopotamia nearly 4000 years ago they celebrated each New Year with a 12-day festival, called Zagmuth. The Mesopotamians, who believed in many gods, held this festival in support of their chief god, Marduk, because they believed that he battled the monsters of chaos at the beginning of each winter. This is where the 12 days of Christmas is believed to have been originated. The ancient Romans held a celebration in honor of their god Saturn. The festival, which they called Saturnalia, began in mid-December and lasted until the first of January (Yule, or the Winter Solstice). The Romans decorated their homes with garland and trees with candles. During which they would visit each other’s homes and hold great feasts. One of the theories of how the tradition of giving Christmas gifts came about was from the Roman practice of exchanging gifts between family and neighbors during this festival to promote good luck. In Scandinavia, the Norse celebrated Yule from December 21 through January (the winter solstice) in honor of their god Thor. 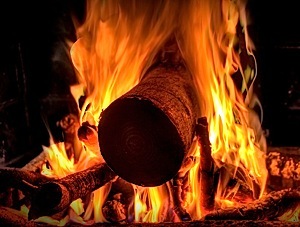 In recognition of the return of the sun, fathers and sons would bring home large logs (Yule logs), which they would set on fire. The people would feast until the log burned out, which could take as many as 12 days. Some believe that the tradition of singing carols began when people in Scandinavia would sing celebration songs around this log. The Norse believed that each spark from the fire represented a new pig or calf that would be born during the coming year. Centuries before Jesus was born early Europeans celebrated the winter solstice, when the worst of the winter was behind them and they could look forward to longer days and extended hours of sunlight. The end of December was a perfect time for celebration in most areas of Europe. At that time of year, most cattle were slaughtered so they wouldn’t have to be fed during the winter. For many, it was the only time of year when they had a supply of fresh meat. In addition, most wine and beer made during the year was finally fermented and ready for drinking. In Germany, people honored the pagan god Oden during the winter holiday/ solstice. Germans were terrified of Oden, as they believed he made nocturnal flights through the sky to observe his people, and then decide who would prosper or perish. So we’re starting to see where the earliest of origins are starting to take shape for our Christmas traditions. This leads me to what we all say is the reason for Christmas, the birth of Jesus Christ! 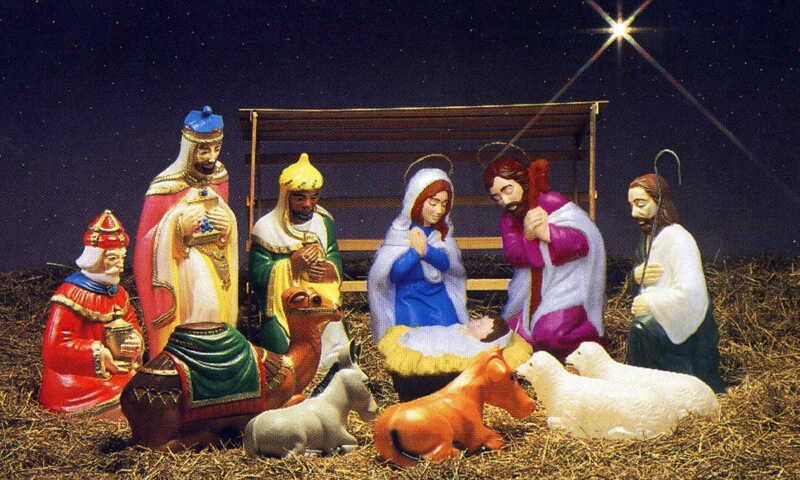 It is a very big myth that Jesus was born on December 25th, 1AD. Most experts believe He was born between 3 and 4 AD. Just an interesting side note I want to throw in here is that most people believe BC is Before Christ and AD is After Death. If you believe this then let me ask you a question. If BC is Before Christ and if after He died is AD and Jesus lived for 33 years, then what is the 33 year period between Before Christ (BC) and After Death (AD)? BC is in fact Before Christ however AD is not After Death. AD in Latin is “Anno Domini” which means “In the year of our Lord.” However, I digress. Along with Jesus not being born in 1 AD He also was not born on December 25th. No one actually knows the date or even month that Christ was born with absolute certainty however there are several theories. Experts have given various dates including back in November, some say in March, and even some as far out as September. I personally think it was in March but that’s me. If your pastor, teacher, professor, or educator tells you any different then I’m wrong their right. It’s just my educated guess but I can tell you it wasn’t December 25th 1 AD. Something else that I think is important to mention is that Christmas or I should say the birth of Jesus was not originally celebrated by all of Christianity. In the early years of Christianity, Easter was the main holiday; the birth of Jesus was not celebrated. The term Christmas didn’t even come about until over a millennium later. The word Christmas in Old English is “Cristes Maesse” meaning the “Mass of Christ” and it was first found in 1038 AD. So how did Jesus’ birthday come to be celebrated on the 25th of December? Well, by the time the Roman Empire legalized Christianity in the 4th century, as discussed earlier, most other countries and religions were celebrating their gods during the winter solstice. So Pope Julius in 350 AD declared that the birth of Jesus would be celebrated on December 25th from then on. But the truth is that December 25th, or really late December, was celebrated for many pagan gods long before it was ever associated with Jesus. The Pope was trying to make it as easy as possible for pagans to convert to Catholicism. However, the new holiday didn’t take off with believers at first. The widespread celebration of December 25th by believers didn’t get going until 378. It apparently then dropped in 381 and then came back in 400 AD (5th Century). In the early 17th century, a wave of religious reform changed the way Christmas was celebrated in Europe. When Oliver Cromwell and his Puritan forces took over England in 1645, they vowed to cancel Christmas. Charles II was restored to the throne by popular demand and he brought back the popular holiday. The pilgrims were even more orthodox in their Puritan beliefs than Cromwell. As a result, Christmas was not a holiday in early America. From 1659 to 1681, the celebration of Christmas was actually outlawed in Boston. Anyone exhibiting the Christmas spirit was fined five shillings. However Captain John Smith in the Jamestown settlement reported that Christmas was to be enjoyed by all. After the American Revolution, English customs fell out of favor, including Christmas. Christmas wasn’t declared a federal holiday until June 26, 1870. In fact, Congress was in session on December 25, 1789, the first Christmas under America’s new constitution. Now that you know how Christmas came about let us go into some of our current traditions like the Christmas tree, gift giving, Santa Claus, mistletoe, and some controversies like saying happy holidays and Merry X-mas. The Christmas tree has virtually become the symbol of Christmas across the United States and the world. In America it’s tradition for many to put up the Christmas tree the day after Thanksgiving. For some it’s popular to wait until the first of December; some just put one up whenever they get a chance but most Americans do celebrate Christmas by having a Christmas tree. Each year, 30-35 million real Christmas trees are sold in the United States alone. There are 21,000 Christmas tree growers in the United States, and trees usually grow for about 15 years before they are sold. But how did the tradition begin? Many Pagan cultures used to cut boughs of evergreen trees in December, move them into the home or temple, and decorate them. Many modern-day Pagans still do during Yule. This was to recognize the winter solstice. As the solstice approached, they noticed that the days were gradually getting shorter; many feared that the sun would eventually disappear forever, and everyone would freeze. But, even though deciduous trees, bushes, and crops died or hibernated for the winter, the evergreen trees remained green. They seemed to have magical powers that enabled them to withstand the rigors of winter. The ancient Egyptians, whom didn’t have evergreens, used the palm tree to symbolize resurrection. They decorated their houses with a tree and its branches during the solstice. The ancient Roman Pagans decorated their trees with bits of metal and replicas of their go d, Bacchus (a fertility god). They also placed 12 candles on the tree in honor of their sun god. Their Saturnalia festival started on December 17th and often lasted until a few days after the Solstice. In Northern Europe, the ancient Germans tied fruit and attached candles to evergreen tree branches, in honor of their god Woden. Trees were viewed as symbolizing eternal life. This is the pagan god after which Wednesday was named. The trees joined holly, mistletoe, the wassail bowl, and the Yule log as symbols of the season. All predated Christianity. The tradition began in the 16th century in Germany. St Boniface went there to try to convert the people to Christianity. While walking in the woods he found pagans worshipping their gods and spirits around an oak tree. One story tells they were actually sacrificing a child to their gods. Since this angered him, he immediately chopped down the tree. Tradition says that after he chopped the tree down a pine tree sprung up in its place. St Boniface saw this as a sign and the tradition of the Christmas tree began. The German people were the first ones to use a tree at Christmas. They used roses, apples, nuts, berries and candles to decorate the trees. It was the Protestants that first adopted the Christmas tree as part of the celebration of Christmas. In England the Royal family adopted the celebration of Christmas with a tree around 1840. The Royal family not only used lights to decorate the tree but also used candy, gingerbread men, and fruit. Later the common people joined in. In America, a Christmas tree hadn’t been used until Germans immigrated in the early 1800s and brought the tradition with them. 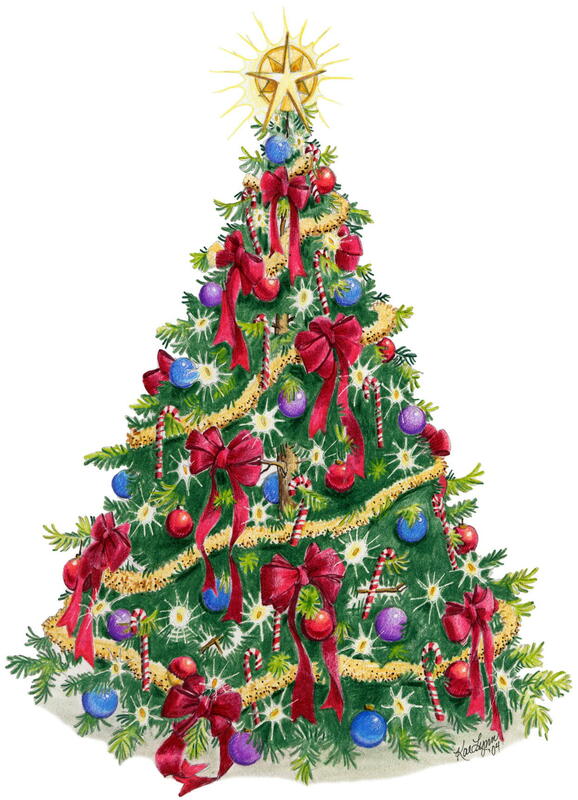 Americans at first thought using a Christmas tree was a pagan tradition and didn’t want the tree as part of the Christmas celebration, but by the end of the 1800’s most Americas followed suit. As tradition goes the wood of the tree symbolized the cross that Christ died on for our sins. The green tree represents new life that you have with Jesus when you accept Him as your Savior. The lights symbolize the birth of Christ and the fact that Jesus is the light of the world. The trees were originally decorated with candles and a cloth was put down under the tree to catch the wax; but with the invention of electricity we now use electrical lights but we kept the tradition of keeping the tree skirt. Red ornaments represent the blood Jesus shed for our sins. Apples were used to remind us of the sin of Adam and Eve and our sinful nature. The Christmas tree is usually topped with an angel to represent the angels that were there when Jesus was born to worship Him as the Son of God. Often a star is used to top the tree and it symbolizes the Star of Bethlehem that guided the wise men, or the magi, to baby Jesus. You can’t talk about gift giving without talking about good ole St. Nick, Saint Nicholas, or better yet Santa Clause. Nicholas was in fact a real person; he was born late in the 3rd century and was raised to be a devout Christian. His parents were wealthy but died at a young age in an epidemic. He used his inheritance to help the needy, sick, and the suffering. Nicholas later became the bishop of Myra and became known for his generosity to those in need, his love for children, and his concern for sailors and ships. He was eventually imprisoned and tortured for his faith. When Constantine became emperor of Rome, he allowed Nicholas to go free. Constantine became a Christian and convened the Council of Nicaea in 325. Nicholas was a delegate to the council. He is especially noted for his love of children and for his generosity. He died on December 6, 343 AD in Myra and the anniversary of his death became a day of celebration, St. Nicholas Day. About 200 years after his death, Nicholas started being recognized and honored in very significant ways. His sainthood has no specific date but was recognized by several local churches and quickly spread though out the world and is recognized by the Roman Catholic Church. Nicholas was known for his generosity and often gave money and toys to the needy. He was always alert to others needs; and gave in secret but expected nothing in return for himself. He is the patron saint of sailors in Sicily, Greece, and Russia, as well as the patron saint of children. The Dutch kept the legend of St. Nicholas alive. In 16th century Holland, Dutch children would place their wooden shoes by the hearth, a brick- or stone-lined fireplace, in hopes that they would be filled with a treat. The Dutch spelled St. Nicholas as Sint Nikolaas, which became corrupted to Sinterklaas, Kris Kringle, and finally, in Anglican, to Santa Claus. In 1822, Clement C. Moore composed his famous poem, “A Visit from St. Nicholas,” which was later published as “The Night Before Christmas.” Moore is credited with creating the modern image of Santa Claus as a jolly fat man wearing a red suit. However, his authorship is controversial. Some scholars suggest that it was Henry Livingston Jr. who wrote the poem. Some say it was this man’s generosity that spiked the gift giving at Christmas time and others say, as mentioned before; it was the ancient Roman festival Saturnalia. They practiced giving family and neighbors gifts for good luck. 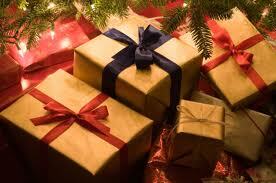 Some even say that we give gifts at Christmas because the wise men brought gifts to the baby Jesus. We repeat the tradition of giving gifts to everyone. I personally think it was a combination of all three. The ancient Roman’s tradition, Saint Nicholas’ generous efforts, along with the gifts that were brought to Jesus in the manger that came together for our current tradition but that’s my opinion. Two hundred years before the birth of Christ, the Druids used mistletoe to celebrate the coming of winter. They would gather this evergreen plant that is parasitic upon other trees and used it to decorate their homes. They believed the plant had special healing powers for everything from female infertility to poison ingestion. Scandinavians also thought of mistletoe as a plant of peace and harmony. They associated mistletoe with Frigga, their goddess of love. That’s most likely where the custom of kissing under the mistletoe came from. The early church banned the use of mistletoe in Christmas celebrations because of its pagan origins. The church fathers suggested the use of holly as an appropriate substitute for Christmas greenery. In recent years (from 1990 on) people have gradually started saying “Happy Holidays” in place of “Merry Christmas.” A lot, if not most, probably believe they are referring to Thanksgiving and Christmas. Many believe they are trying to keep from saying Christmas for “religious freedom” or political reasons. For some, that is very possible. However I’d also like to point out that there are several other religious/cultural celebrations during this time of year as well. There is Christmas, Hanukkah, Rohatsu, Kwanzaa, and Yule. Christmas is the celebration of the birth of Jesus Christ and it’s on December 25th each year. Hanukkah in Hebrew means “dedication.” The holiday commemorates the re-dedication of the holy Temple in Jerusalem following the Jewish victory over the Syrian-Greeks in 165 B.C.E. It starts on the 25th of the Jewish month of Kislev, which coincides with late November-late December on the current calendar. Rohatsu is Japanese for “eighth day of the twelfth month.” December 8 has come to be the day Japanese Buddhists observe the enlightenment of the Buddha. Kwanzaa is a weeklong celebration held in the United States honoring universal African-American heritage and culture, observed from December 26 to January 1 each year. It features activities such as lighting a candle holder with seven candles and culminates in a feast and gift giving. It was created by Maulana Karenga and was first celebrated in 1966–1967. Kwanzaa is not a religious holiday nor is it meant to replace Christmas. Yule is the Winter Solstice which is (around December 22) the longest night of the year. It is a Pagan holiday, when the return of the sun is celebrated, as the days are about to get longer. At this time, there is a battle between the Holly King & Oak King, in which the Oak, representing lighter times, will win. Also in the Celtic/Druidic calendar, this would be the Nameless Day. This is the day in between the old year and the New Year in the Druidic tree calendar, represented by mistletoe. Yule is still celebrated today mainly by witches and wiccans. Since there are so many different religious/cultural holidays during the time of Christmas I personally do not mind someone interchanging “Merry Christmas” and “Happy Holidays.” Sometimes I interchange them myself but that’s me. The problem I have is when people and/or stores will only say “Happy Holidays” and refuse to say “Merry Christmas.” I have some friends that get irritated at people saying “Happy Holidays.” They have voiced their opinion and said they prefer Merry Christmas because they believe in Christ and He is the “reason for the season.” They do have respect for the other religions though; they’ll say “Happy Hanukah” to their Jewish friends, “Happy Kwanza” to their African American friends, and so on. This would actually be more accurate however to generalize them all by periodically saying Happy Holidays I have no problem with, but like I said that’s me. Therefor saying that Xmas is a secular attempt to remove the religious tradition from Christmas by taking the “Christ” out of “Christmas” is completely wrong. The term Xmas was used to refer to the birth of Jesus as an informed abbreviation, not an offensive one. Xmas was a way for Christian scholars to refer to Jesus respectfully in an ancient language not to disrespect His name with a harsh symbol. In fact, variations of “Xmas” date back to 1038 in the year of our Lord. However, I will say this; there are probably not very many people that know this. I’m sure there are people out there that use Xmas because it’s become socially acceptable. Some purposefully do so just to take out Christ but their really not. We need to be educated on these kinds of things. Since the birth of Christ was not originally celebrated many, today like back then, argue that it should have never started to begin with. They argue that the celebration of Easter, or the anniversary of Jesus’ rising from the dead, should be the only thing celebrated. Many of them say that by celebrating the birth of Jesus, especially during the Winter Solstice, we are taking part in what began as paganism and that we are falling into the snare of Satan himself. Many especially give warning against the “Christmas Tree,” saying that even scripture speaks against having and using them. The problem with this theory is that the context of the passage is on making idols. Jeremiah was not talking about Christmas trees but about making idols from wood, which the people would then bow down and worship. Christmas trees are not idols, nobody worships them. Jeremiah was not condemning Christmas trees but rather idolatry. In my first body paragraph I asked this question “Do we really do these things to celebrate the birth of our Lord and Savior or do we use His birth as an excuse to be able to do these things?” This, I believe, is the key question. Reason being, the reason why we do something is just as important, if not more so, than what we are actually doing. I’ll give you an example, if you celebrate “Christmas” with a decorated tree, gift giving, and a fire in the back yard and you do it truly (in your heart) for the reason of celebrating the birth of Christ then I don’t believe there is anything wrong with it. However, if you celebrate by doing the exact same things but do it for other reasons, especially pagan gods, then it’s most defiantly wrong. It’s your heart and what you mean when you do it that matters. God knows the thoughts and intentions of our hearts. So, what do you do and why do you do it? That’s what’s important. I wish you all a Very Merry Christmas and a Happy New Year! « What does the Bible say about Alcohol? Chris, good write/ read. It’s always fun trying to run down all the rabbits that are in the discussion of Christmas. I guess the only thing I would mention is in regards to the “Happy Holidays”. Me and Lee Ann had a problem with the whole uproar about it as well. I did recently hear from AFR however, why they make the big deal they do about in regards to being around Christmas. Their point is that although there are many “holidays” celebrated during the months of Nov-Jan, the only one that involves actual buying of gifts for the celebration is Christmas. None of the other holidays practice this as a general tradition and therefore when they go to Wal-mart or somewhere as such and they are told about “Holiday shopping” they believe its PC talk. So that’s about the only thing I think that I could add, from their perspective. I understand their point but I think they do go too far sometimes with it.